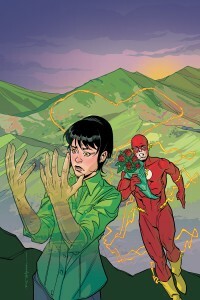 Comic Bloc poster elias6 noticed that DC has posted a new cover for next week’s Flash #246. 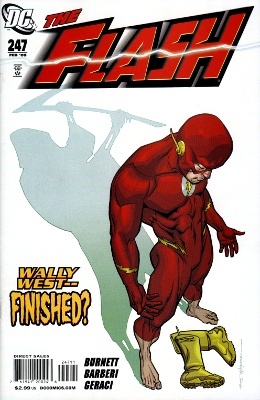 DC initially released the cover on the left by Brian Stelfreeze, showing Wally’s wife Linda West vanishing into thin air. (Stelfreeze did the covers for issues #244 and #245, as well as the cover that’s been solicited for #247, the final issue.) 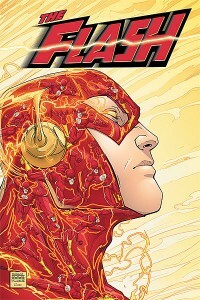 The newly released cover, showing a profile of the Flash’s head with reflections running along his costume, is by Freddie Williams II, who recently wrapped up a 10-issue run on the series. This entry was posted in Flash News and tagged Brian Stelfreeze, Covers, Freddie Williams II on November 13, 2008 by Kelson.